Modern defibrillators are very sophisticated. They come with on-board instructions, a nice lady voice who talks to you, a shock prevention device so it will only work if the patient needs a shock, etc. So you don't need any training, do you? - Oh yes, you do! And here's why... Do you remember the very first time you put petrol in your car, or made that telephone call that you knew was going to be really awkward, or even bungee-jumped for the first time? The fear and trepidation that you felt before starting the task almost stopped you from attempting it. Now, having done this task a thousand times, how do you feel about refilling the car or picking up the telephone? Not even a twinge… except maybe before the bungee jump! We applaud any organisation who is investing in a defibrillator particularly statistics suggest that survival rates from heart attacks rise from 5% to an average of 38% with the correct use of defibrillators and CPR. BUT without investing in proper training in the use of the defibrillator and also the proper use of CPR, you may have wasted your money. And therefore we congratulate Didcot Town Council, A Plan Insurance, Oxford Software and also Oxford University's Linacre College for investing in our defibrillator and full training package. 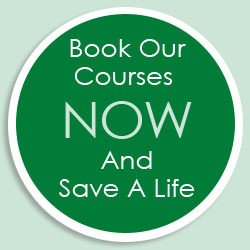 If we can help you with your training needs, please call us on 01235 810619. ARE THOSE QUALIFICATIONS ALL THAT THEY SEEM? We have been made aware of a recent case where a member of the public suffered a fit in a shopping centre. He was attended by two members of staff who unfortunately treated him incorrectly and actually made his condition worse. These staff members were trained in Eastern Europe and held Eastern Europe First Aid Certificates. However, the shopping centre is potentially facing legal action for the additional injury caused. We are really sympathetic to all parties here. The staff had received training, although their implementation of that training proved disastrous. The shopping centre had checked their staff had valid first aid certificates and the casualty was an innocent victim of circumstances. In this situation, the only potential winners are lawyers. So, and we hate to say it, but perhaps the standards of first aid training are not all the same the world over. Therefore, our unhappy conclusion is to ensure that all staff are trained in first aid in the UK. Bottom line - your investment in ensuring your staff comply completely with the HSE regulations and guidelines removes doubt, legal fees or worse, and is the responsible thing to do for your staff, visitors and customers. With an asthma attack, the muscles in the lungs spasm causing the airways to narrow, which makes breathing difficult. Sometimes, there is a recognised trigger for an attack, such as an allergy, a cold, a particular drug or cigarette smoke. High pollen and hay fever can trigger attacks. Other times, there is no obvious trigger and many sufferers do have sudden attacks. 1. Keep calm and reassure the casualty. Help her take a puff of her reliever inhaler and use a spacer if she has one. Help her to breathe slowly and deeply. 2. Help her to sit down in the position she finds the most comfortable but do not let her lie down. 3. A mild attack should ease within a few minutes. If it does not, ask the casualty to take another dose from her inhaler. 5. Monitor her vital signs - level of response, breathing and pulse until help arrives. Congratulations to Olga Pleguezuelos from Seekacure, who correctly answered that the main sponsor of this year's London Marathon was Virgin Money. Olga wins a £50 voucher for a meal for two at The Feathered Nest Inn in Nether Westcote. 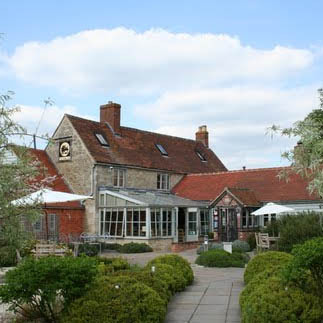 This month, we are offering a £50 voucher for a meal for two at The Mole Inn - a beautiful country Pub & Restaurant set in the stunning Oxfordshire countryside at Toot Baldon just 5 miles from Oxford. "Which river is spanned by Oxford's Magdalen Bridge?" Email your answer and contact details to Jane at: info@ocfa.co.uk and we'll draw one lucky winner from the correct answers on Friday 19th June 2015.